We are Nicole & Jamie Leahy and this is our website giving you a look of what we do and what we can provide. 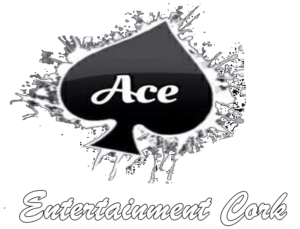 We have been providing a number of services for all aspects of the entertainment. We provide top quality photo booth, sparkle dance floors, candy carts, ferrero rocher hearts, flower walls and candy floss. Full Wedding DJ is available for €500 from 9.30- late. Packages can be made to suit your budget, just give us a call 0858146367. Please note childrens entertainment is not available at weddings but if your looking to organise some entertainment for the day after your wedding we have the perfect package. From 20 guests to 500 guests, there is something for everyone. We know how stressful planning your big day is as from planning our own Wedding in 2013. We know how to plan your wedding on budgets of all sizes. At Ace we offer the brides of Cork a fantastic & reliable service. We can make your fairy tale wedding come to life with no major price tag. We at Ace are delighted to bring to the Brides & Grooms of Cork our brand new Love Sign because there was a huge demand for this product but only 3 suppliers in cork. This new unique Love Sign is 4 foot high which illuminates. To the beginning a new ara in love sign technology. Our gorgeous love sign is made with white perspex and high quality RGB Bulbs. The love sign can come in 5 different colours to blend in with your colour theme. Besides white it also comes in purple. green, yellow and blue. Pricing starts from €99 but this is for a selected hotels only.